From May 22 to 24, two riders of the Petronas Sprinta Yamaha Thailand racing team run by the Yamaha Motor group company Thai Yamaha Motor Co., Ltd. participated in the Japan Round, 2nd round of the PETRONAS Asia Road Racing Championship held at the Autopolis International Racing Course in Hita City, Oita Prefecture in conjunction with round 3 of the All Japan Road Race Championship. Competing brilliantly on the Yamaha YZF-R6 in the two-heat finals, the two Thai riders, Decha Kraisart and Chalermpol Polamai, finished 1st/3rd and 2nd/2nd respectively to defend their 1-2 lead in the Asia series standings after two rounds. Since 2003, Yamaha Motor Co., Ltd. and its group companies in the ASEAN region have been holding the annual YAMAHA ASEAN CUP RACE as an international one-make race for aspiring riders in the region using Yamaha痴 4-stroke sporty moped models. This ASEAN region one-make championship event was begun by Yamaha with the aim of encouraging the development and spread of motorcycle racing, and in recent year the Yamaha Motor group companies in the region have found it to have an increasingly positive influence in their markets. 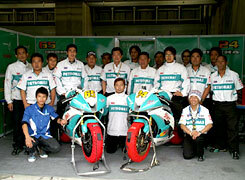 They find that the competitive efforts and successes of racing teams formed of riders who have gained experience and maturity by competing in the YAMAHA ASEAN CUP RACE and its qualifying competitions in each country are creating effective PR not only for contributing to local motor sports culture but also stimulating their motorcycle markets. These teams with riders who started out in YAMAHA ASEAN CUP RACE competition have continued to expand their field of activities by taking on the challenges of competitions like the Asia Road Racing Championship, the All Japan Road Racing Championship and even the World Road Racing Championships. And their success has been particularly prominent in the Asia Road Racing Championship, where a former YAMAHA ASEAN CUP RACE champion has already become the Asia series champion. In 2009 again we are seeing riders who started out in YAMAHA ASEAN CUP RACE competition now participating in a variety of race categories, such as Decha and Chalermpol, who are aiming to win this season痴 Asia Road Racing Championship while also making spot entries in the ST600 class of the high-level All Japan Road Racing Championship. After competing in the All Japan season opener on April 5, Decha and Chalermpol went to Malaysia to race in the opener of the Asia Road Racing Championship series at Sepang on April 10 to 12 and swept the top two places with a 1-2 finish to start off the season. 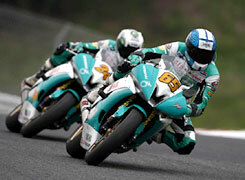 Then at round two in Japan, Chalermpol and Decha got the best start in Saturday痴 race one of the two-race finals, racing each other down the straight for the holeshot. After that, the two Thai stars continued to hold the lead and widen the gap over the field while repeatedly bettering each other for fastest lap time in a close battle. On the final lap, Decha moved into the lead with just a few curves remaining and raced on to take the checkered first with Chalermpol in 2nd. 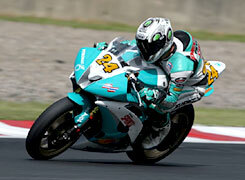 Following in 3rd place came another YZF-R6 rider, Azlan Shah Kamaruzaman of the PETRONAS Sprinta Yamaha Malaysia team. In race two of the finals held on Sunday, Chalermpol and Decha again got a 1-2 start. It looked as if the two would begin to run away from the pack as they had in race one, but the early stages of the race developed into a close dogfight between five riders. Before long two of those five dropped back, leaving Chalermpol, Decha and Azlan to battle for the lead in an exciting match that saw the lead change hands on almost every lap. They entered the last lap with Azlan leading, Chalermpol in 2nd place and Decha 3rd, and that is the order they took the checkered in. This gave Yamaha riders a sweep of the podium in both races. With two rounds of the six rounds of the Asia series completed, Decha leads the series ranking with 77 points and Chalermpol stands a close 2nd with 75 points. The next round takes place in Indonesia from June 26 to 28.